This jacket is designed with stretch cotton for great fit and superior comfort. The extra soft cotton is combined with a dash of spandex to retain shape and make the most of yours. Extra length, an open cuff and hem are added throughout the body for movement and comfort all day. The silhouette is gently contoured for a great fit. Embroidered on the left chest is the Girls on the Run logo. The model is 5'0" and is wearing a size Large. This is a SanMar product and has a classic fit. Really love the feel of the fabric and the contrast of the hoodie color with the GOTR logo. Slim fit through the torso but long (mine fits low-hip). 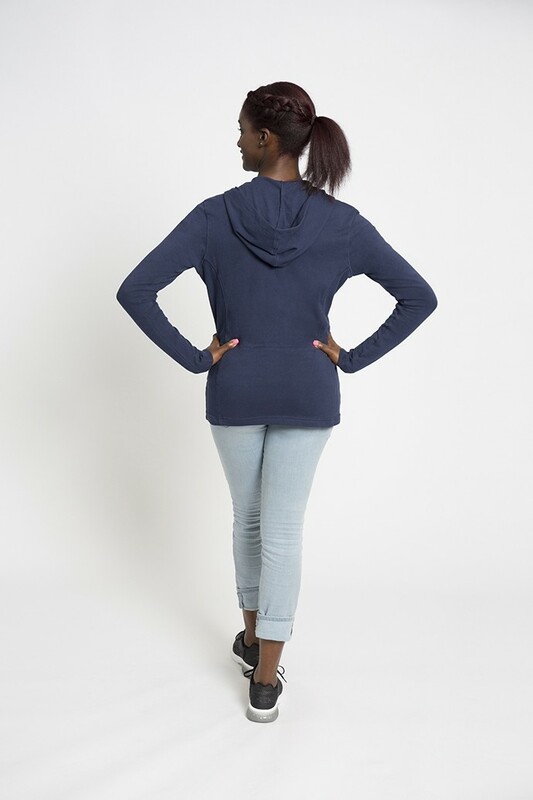 Great zip-up, hooded sweatshirt! It is super comfortable and has a nice stretchy fit to it. Love it! So cute and cozy. Nice, soft, comfortable fit. Love it!